When we started our business, we fully anticipated a learning curve. It was something completely new. Something neither one of us had ever done before. So we didn’t expect to snap our fingers and have a perfect business plan come together. What we probably didn’t realize was just how many mistakes we would make! There were A LOT of mistakes, and we still make them! But what we’ve seen consistently when we look back is that it’s the mistakes that spurred on new growth. One of our biggest mistakes is actually what we look back on as the most pivotal moment in our history so far! We had been working with one of our clients at her storefront when one of her own clients came in to firm up an upcoming order. Our client introduced us and we were mortified! We were thankful for the introduction and sweet referral from our client, but what struck us was how she introduced us. It was the sweetest feeling to have someone refer us, and we know she meant absolutely nothing but the best by it. But what stuck out to us was just how ridiculous we sounded! Our own client had no clue how to describe us and our brand. We were ‘photographers’ who shot just about anything everything under the sun! It was a big eye-opener for us and made us evaluate who we were and what our brand represented. We had just received a glowing referral from our amazing client, but we felt like the Cheesecake Factory menu. Have you been to the Cheesecake Factory? The menu is looooong. Like, novel long. It’s always intimidated us because of just how many options there are. But the other feeling we’ve had? There’s NO WAY they can truly be great at all of the menu items. It’s always been one of those ‘jack of all trades, master of none’ kind of feelings. We realized that our method of trying to be everything to everyone was getting us nowhere. We were ok at everything and great at nothing. It made us look inward and ask ourselves tough questions about who we were, what our business was there for, and how we wanted to be known. We’d been saying ‘yes’ to everything for fear of missing out on an opportunity. But we started to realize that if we specialized in something, it would be what we were known for. It would define our business and our brand. Our clients would have a clear message to deliver to prospective clients when they referred us. That’s when we made the huge decision to focus on branding photography – only. 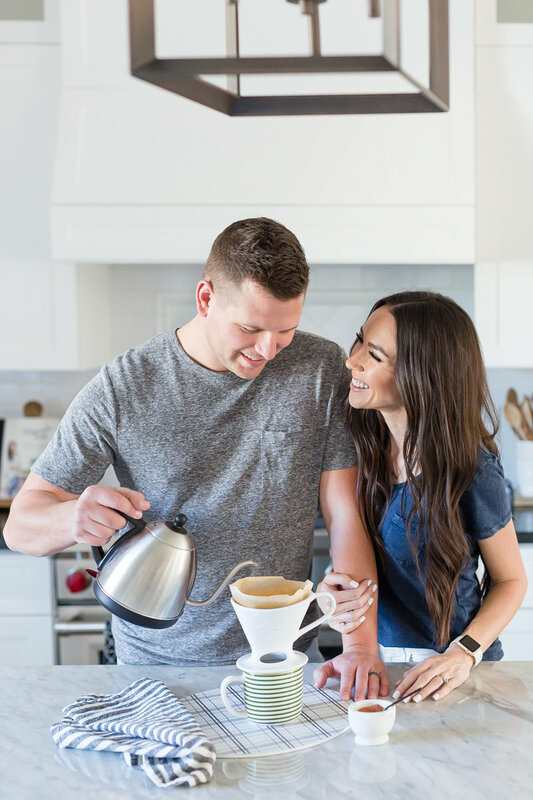 It was a huge mindset shift for us, but it has paid off in ways we could never have imagined! It’s opened the doors to opportunities we would have never had otherwise and allowed us to experience freedom in pursuing the projects we are passionate about and passing those that aren’t in our wheelhouse onto other talented photographers who can serve those clients well. Ultimately, our biggest fear – saying no – is what led us to our greatest freedom – saying yes after yes to clients and projects that aligned with our strengths, style and focus! And not only are we booking the types of jobs we want to attract, but our clients are also reviewing and referring us and our brand for exactly who we want to be!